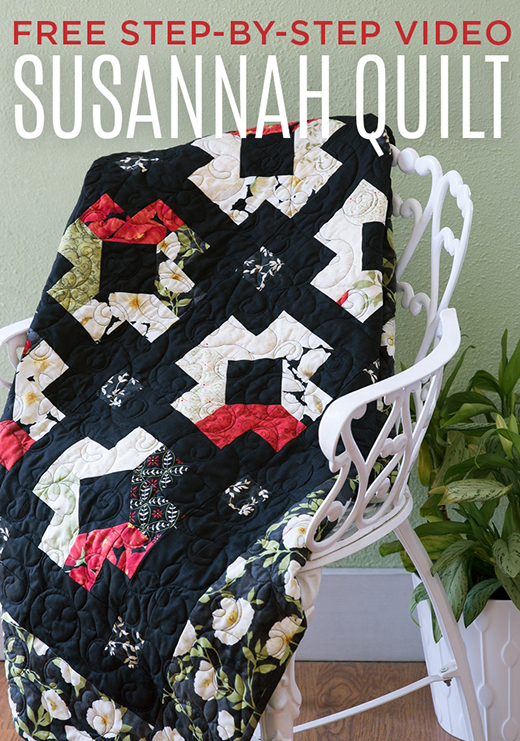 The Susannah Quilt designed by Jenny of Missouri Quilt Co, The Tutorial is available for free. Jenny Doan demonstrates how to make a gorgeous Susannah Quilt using yardage and 2.5 strips of precut fabric (jelly rolls). We used Poppy Celebration 40 Karat Crystals by Cynthia Coulter for Wilmington Prints. Learn how to snowball corners and add sashing with cornerstones.